Forrest and I hung out with some friends from church tonight and we offered to bring the appetizer. 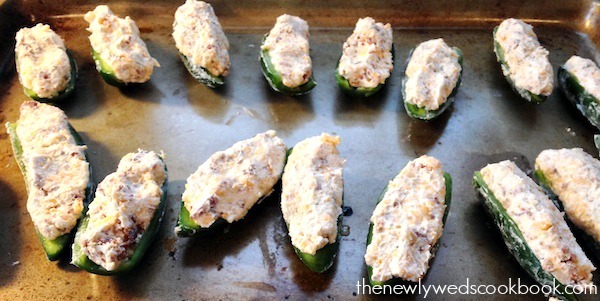 We have been dying to make our own jalapeño poppers, but didn’t want to fry them. 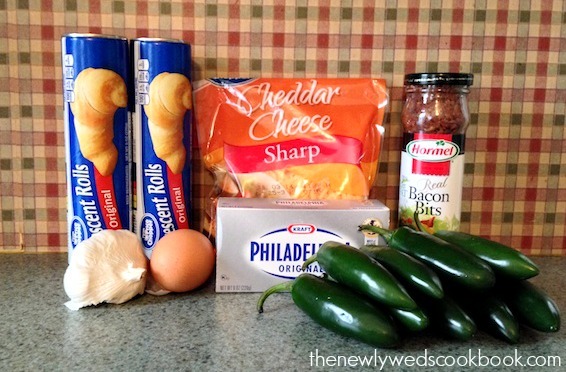 So, we decided to make baked jalapeño poppers. We were surprised by how easy they were to make. And the finished product is amazing! And for those of you who are afraid of the heat, trust me when I say they are not that hot! Since you remove the seeds and cook them, most of the heat is cooked out. 2. 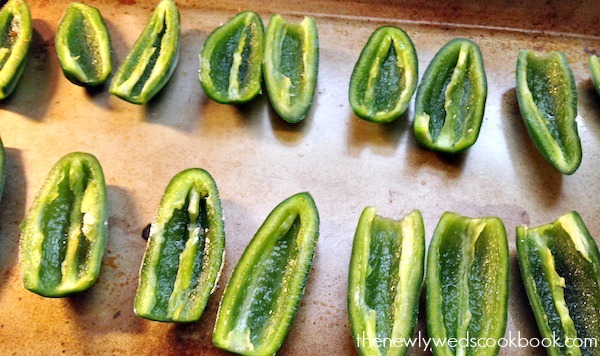 Cut jalapeños in half, hollow out/remove seeds, and wash.
3. 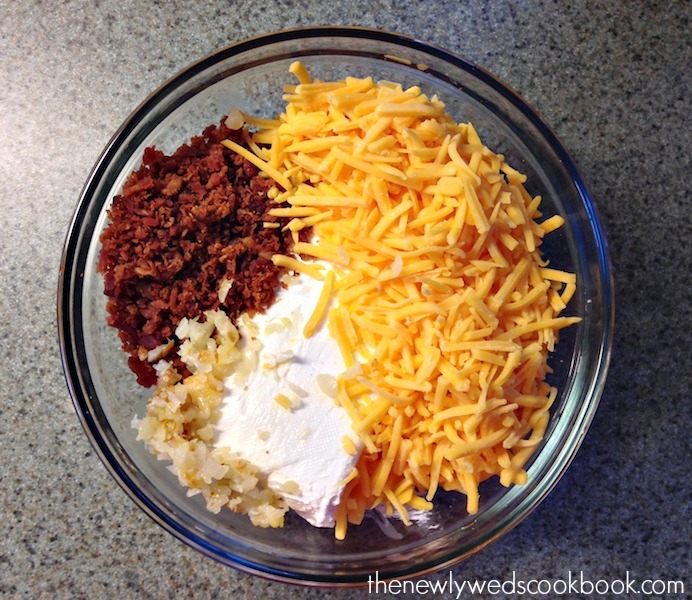 In a mixing bowl, combine the cheddar cheese, cream cheese, roasted garlic cloves, and bacon bits. 4. Scoop the mixture into the jalapeños. 5. 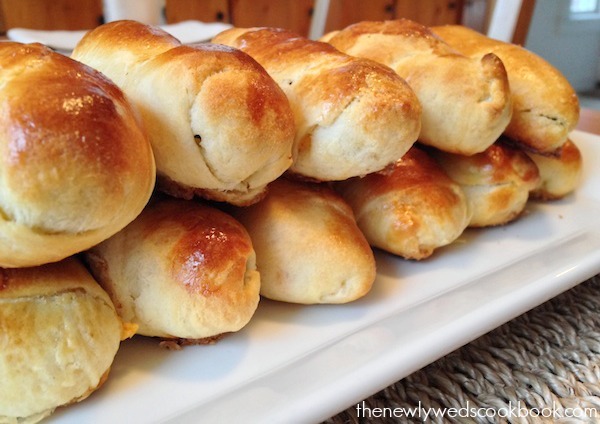 Wrap each jalapeño in a crescent roll, covering the entire jalapeño. 6. 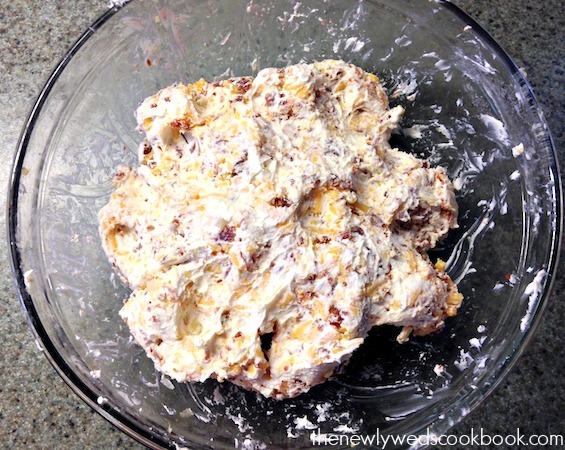 Whisk up the egg in a bowl, and brush over the crescents. 7. 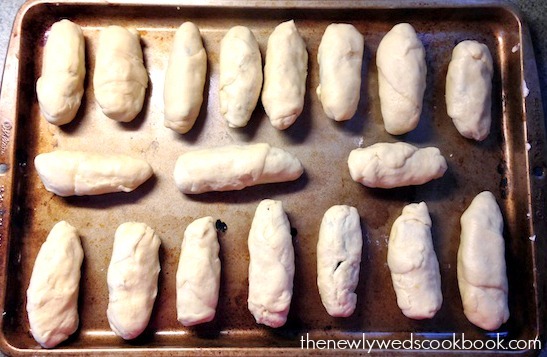 Stick on a greased pan and place in the oven for 15-20 minutes or until golden brown.